Hannah has worked in community sport for eight years. Starting at SkillsActive and now as Director of Sport and Workforce at StreetGames. 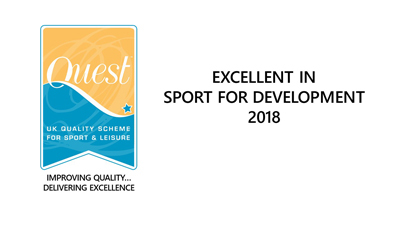 Working to support development of National Governing Bodies of Sport she has specialised in capacity building organisations for delivery of sport in disadvantaged communities. Building on a background in training and skills Hannah is now heading up the exploration of commercial opportunities for StreetGames training. Having volunteered with Girlguiding for 20 years Hannah is passionate about development of young people and in particular supporting women and girls to reach their potential in and outside of sport.